The BMO Vancouver Marathon showcases beautiful running routes with scenic point-to-point courses that span parks and beaches, including the picturesque Seawall – the world’s longest uninterrupted waterfront path. The event features races for everyone, including the award-winning Marathon, a fast Half Marathon, 8KM, Relay, and Kids Run. 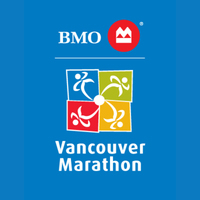 Ranked one of the World’s Top Destination Marathons by the likes of Forbes, CNN, and USA Today, the BMO Vancouver Marathon annually welcomes runners from 65+ countries.